Former First Lady Barbara Bush Is Hospitalized : The Two-Way Barbara Bush, 88, is in a hospital in Houston with a respiratory-related issue, according to her husband's office. Barbara Bush, 88, is in a hospital in Houston with a respiratory-related issue, according to her husband's office. 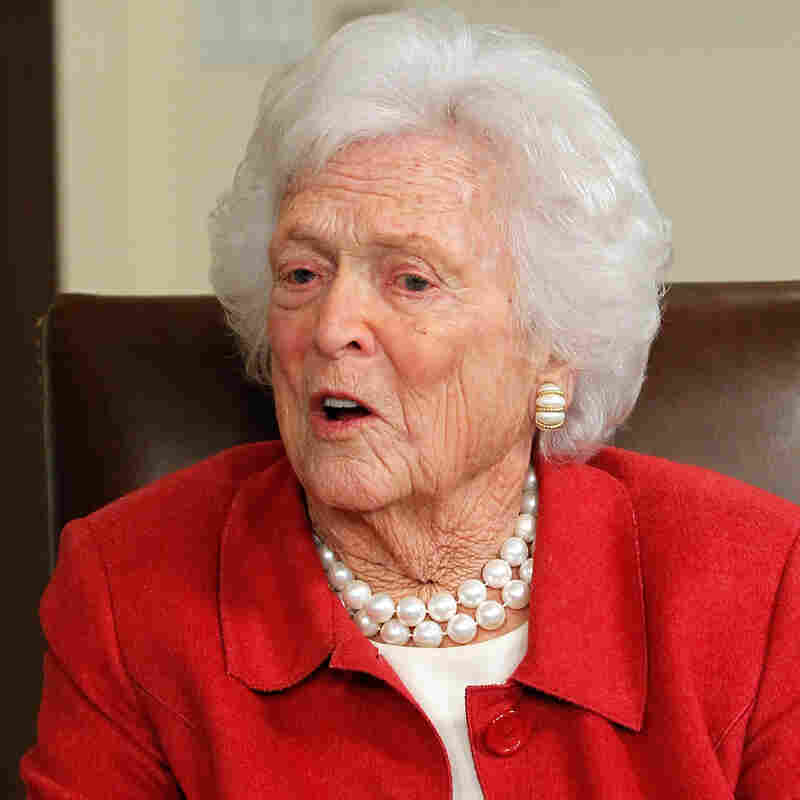 She was admitted to Houston Methodist Hospital on Monday, a statement from the office of former President George H.W. Bush reads. The statement says the former first lady "is in great spirits." The Bushes live in Houston and the statment adds her husband and family have visited her. According to The Associated Press: The Bush family matriarch had heart surgery in March 2009 for a severe narrowing of the main heart valve. She also was hospitalized in November 2008, when she underwent surgery for a perforated ulcer. And in 2010, she was admitted to the hospital after having a mild relapse of Graves disease, a thyroid condition for which she was treated in 1989.